•	This is a gorgeous cottage property, situated in a leafy suburb of Moycullen at Homefarm – this former Railway Cottage is in excellent condition and has been extremely well maintained – situated only 1 min. from Moycullen Village and all its many attractive amenities, Church, Schools, Supermarkets, Restaurants and Licensed Premises. This charming property is set in a lovely tranquil position and incorporates numerous attractive homely features within, making it a must see property for anyone looking for something quite unique, on a very fine site with an abundance of lawns, shrubs and superb carparking space. •	We are very pleased to be offering this outstanding 5 bedroom detached family home, situated on a mature site of lawns, trees and shrubs at Corbally Lynch, Barna. Approx. 10 min. drive from City centre with easy access to both Salthill and Barna also. •	BER: C3 BER. NO. 108441841 * Situated close to local Schools, "The Black Pines" is positioned on a fabulous site of mature lawns, trees and shrubs that surround the property, giving it an abundance of colour in Spring, Summer, Autumn and Winter months. •	The property enjoys a gorgeous aspect to the rear with superb decking area, raised above wonderful sweeping lawns. 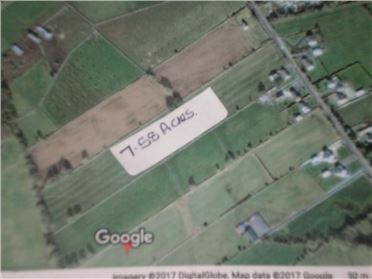 •	Excellent parcel of land comprising c.22.9 Acres – situated between Kilfenora and Ennistymon – off L.5180. 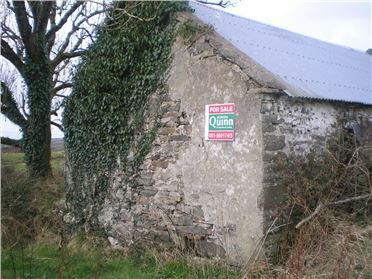 Within easy reach of all amenities in Kilfenora and Ennistymon. •	This land comprising of c.22.9 acres has numerous usages, in particular light grazing and forestry and also has potential as sites, subject to Planning Permission. •	There are several Forestry Plantation areas surrounding this property. •	There are some outhouses (formerly a dwelling) with cattle crush also. •	Enormous potential, as stated, in this tranquil, scenic location. •	FULL DETAILS AND MAPS FROM SELLING AGENT- JOHN QUINN 091/569174. 7.58 Acres of excellent farmland with road frontage - possible potential for sites - subject to P.P. Top quality Agricultural land - suitable for a variety of usages, grazing, sheep, cattle, tillage, horticultural. Less than 20 mins. 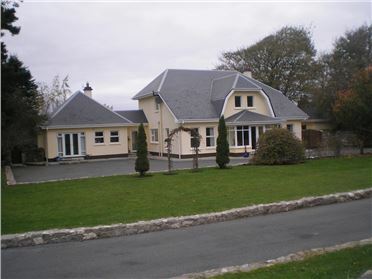 drive to Galway City - convenient to Claregalway Village and all amenities. Please contact Agents for Maps etc.